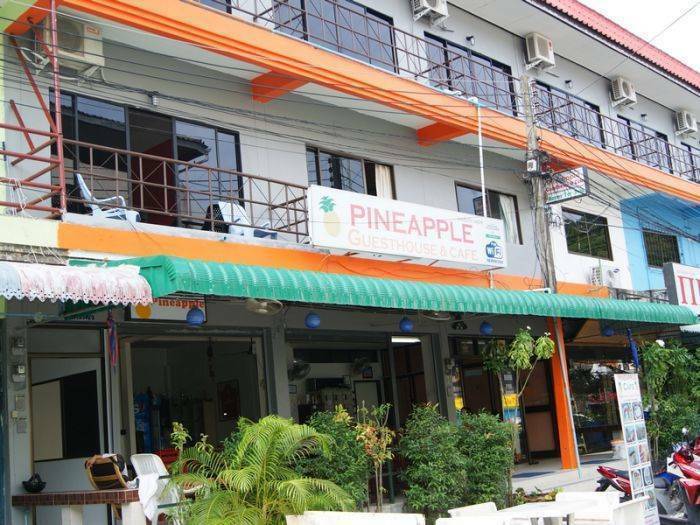 Pineapple Guesthouse is a familly-run (Thai/English) guesthouse in the Karon Plaza area. Less than five minutes walk to the beautiful Karon Beach. 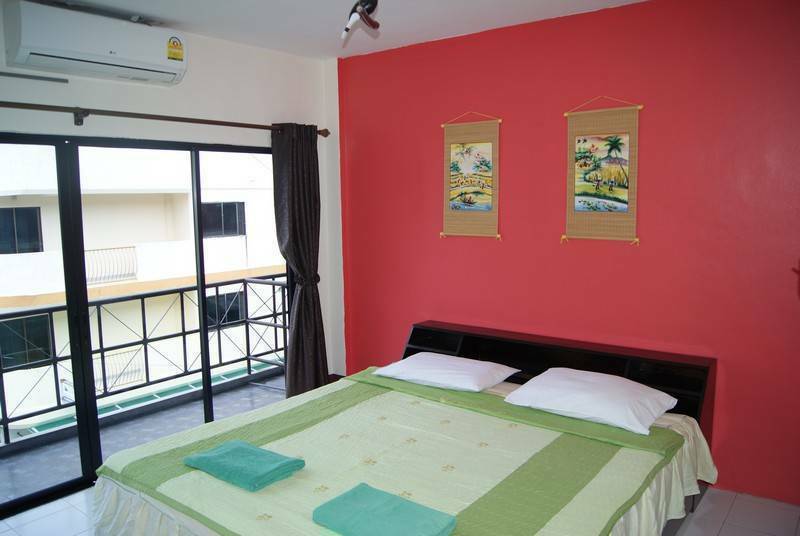 Pineapple Guesthouse offers good value accommodation with good facilities. Don't expect five-star luxury or boutique rooms, but clean, well-decorated rooms with A/C, TV, free wifi and en suite bathrooms. There are 20 private rooms and a ten bed mixed dorm. Pineapple Cafe is attached and offers a great breakfast menu plus lunch and drinks. Pineapple Guesthouse offers free wifi, free internet, free watersports equipment, book exchange, good value cafe/bar, laundry service, complimentary drinking water and beach towels. There's a taxi service including well-priced airport pickup. A superior king room has one large (six foot) bed, air-conditioning, en suite bathroom with hot shower, balcony, free wifi, safety box, large fridge and cable TV with 80 channels. 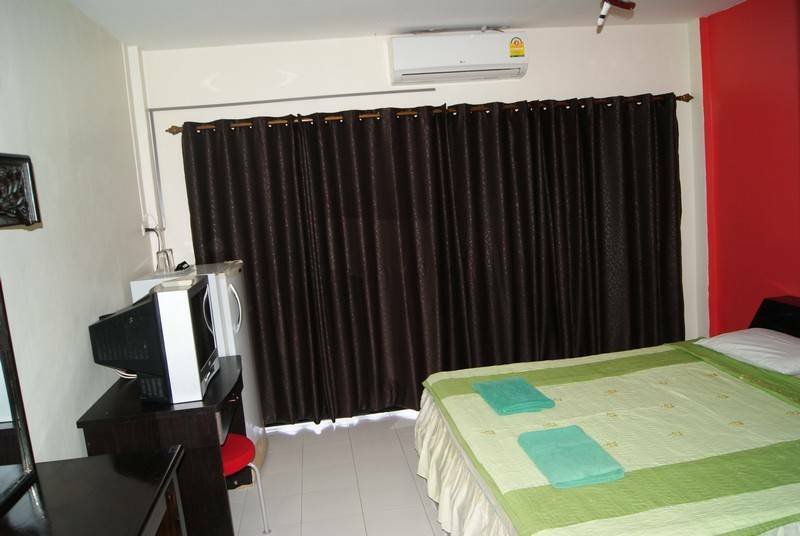 A standard king room has one large (six foot) bed, air-conditioning, en suite bathroom with hot shower, free wifi, safety box, large fridge and cable TV with 80 channels. 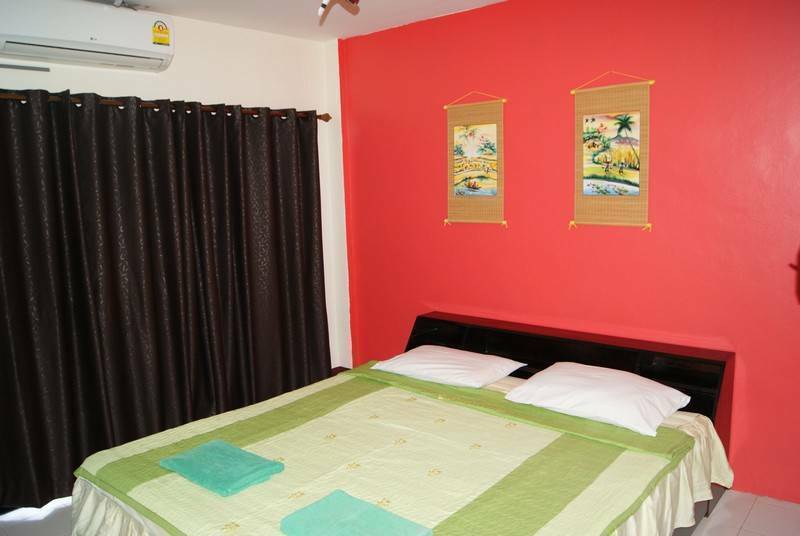 A twin room has two single beds, air-conditioning, en suite bathroom with hot shower, free wifi, safety box, large fridge and cable TV with 80 channels. 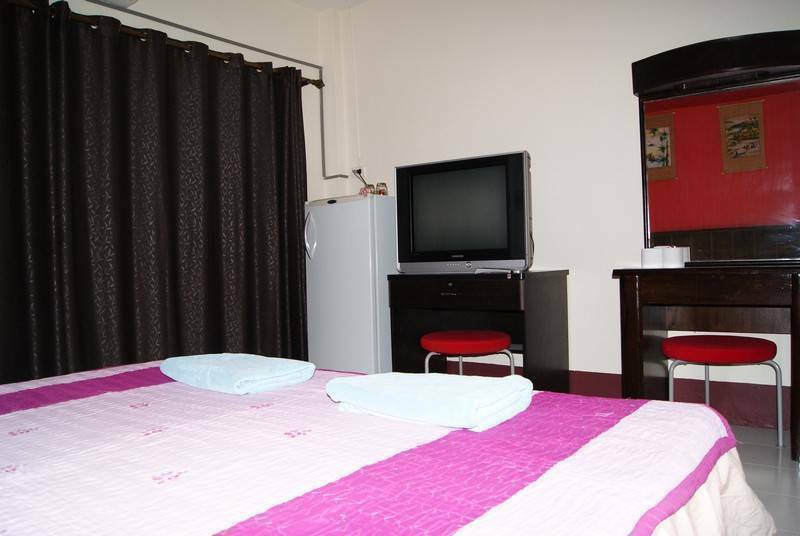 A triple room has one double and one single bed, air-conditioning, en suite bathroom with hot shower, free wifi, safety box, large fridge and cable TV with 80 channels. The dorm is now a four-bed dorm, quite basic but with a fridge and aircon. Linen and towels provided. 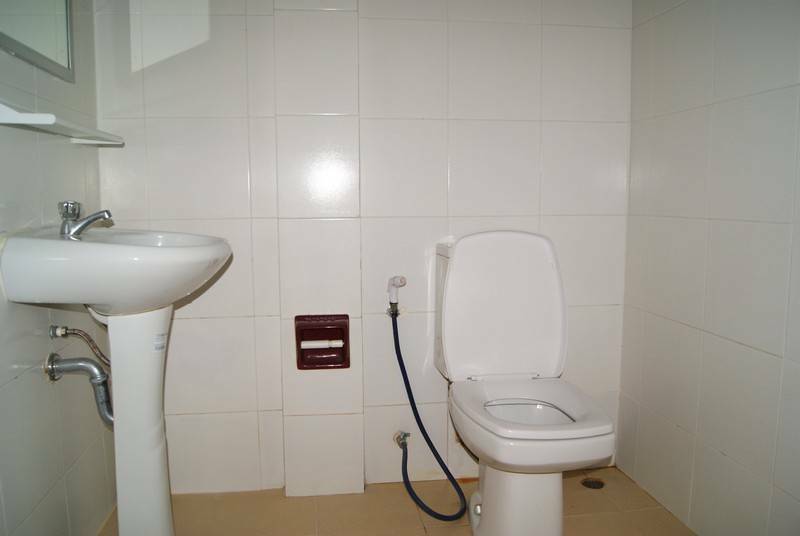 It's on the ground floor and the bathroom is just outside the room. The large family room has two king beds, large bathroom area, free wifi, cable TV, safe, kettle, microwave and balcony. It's a large room, 45sqm, so plenty of space. Pineapple Guesthouse is located at Karon Plaza. A few minutes from the sandy beach, there are a number of shops, bars, restaurants, street food stalls, massage places, tour organisers, dive shops, car and motorbike rental shops. Pineapple Cafe is open daily for breakfast (including the best English breakfast in the area), lunch and drinks. 15% deposit non-refundable within 10 days of arrival. After passing through Kata on Patak Road, look for a group of four banks close to each other on the left. Pineapple is located in the small street with Siam Commercial Bank and Coconut Bar on the corners. Airport minibus, local bus from Phuket Town, Taxi or tuk tuk. Nearest airport: Phuket International Airport, 50km.